I absolutely hate horror movies. Especially if it’s about ghosts? Nuh uh, ain’t having it. But this was a little different. I hadn’t reviewed horror films on EonTalk before up until this point, so I needed to face my fear and watch so that I could provide a more variety of content on the site. Also, <The Wrath>, contrary to its title, didn’t seem too scary; after watching the trailer, it didn’t seem that frightening. 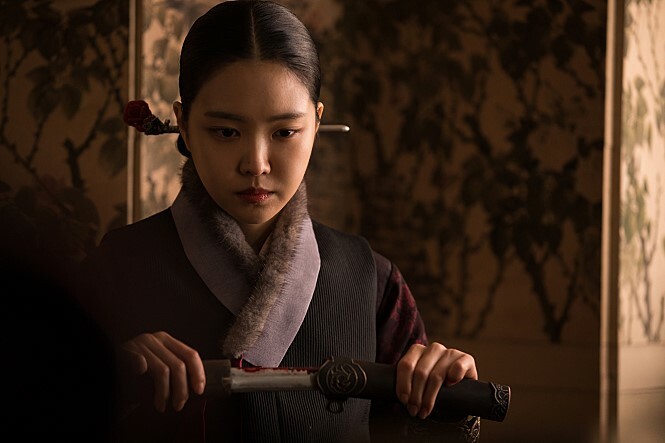 And most importantly, Son Na-Eun stars in the film. She was one of the biggest encouragements I had during my military service (lol). But contrary to this being a “horror” movie, it was more of a comedic film than a scary one. 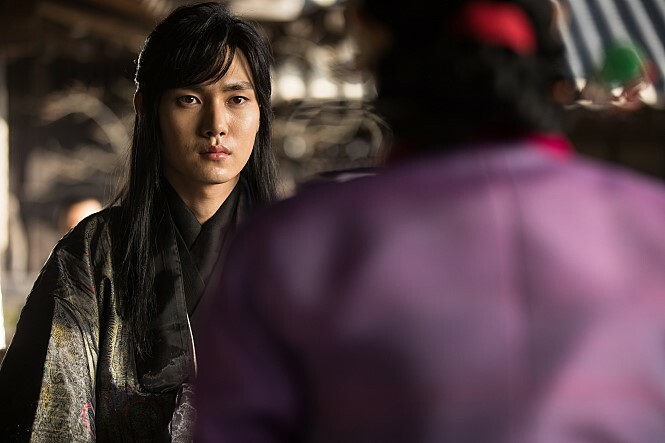 Directed by Yoo Youngseon, who also directed another horror film titled <The Wicked>, <The Wrath> features four main cast members of Seo Young-Hee, Son Na-Eun, Lee Tae-Ri, and Park Min-Ji. The film is a remake of the Korean horror movie <Woman’s Wail>, which came out in 1986. That original is regarded as one of the best Korean horror films, and set the standards extremely high for the remake. I personally have not seen the film, but making an educated guess after watching the 2018 version and reading what people had to say about the 1986 version, the 2018 version, unfortunately, did not match the original’s level; it didn’t even come close. I can say even without watching the original that this adaptation isn’t half as good because, well, this one was just horrible. Well, maybe “horrible” is a little too harsh, but I found myself laughing way more than actually being scared. And that’s saying a lot for a scaredy cat like me… lol. This horror movie, set in historical Korea, actually has a decent story, but the execution was anything but good. <Intimate Strangers>, a comedy/drama, was, in a way, more of a “horror” movie than this. Strange and bizarre deaths continue to take place at an allegedly cursed house. Ok-Bun (Son Na-Eun) regrettably enters this haunted home, marrying the third son of the household. 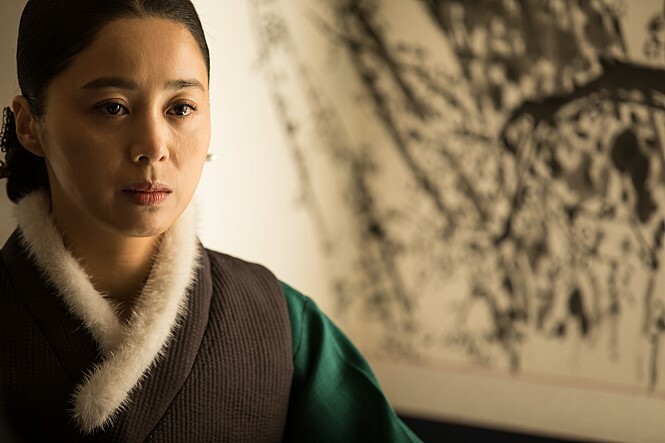 The mother-in-law (Seo Young-Hee) despises Ok-Bun upon their first encounter, and instructs her on several directions she must follow while staying at the house. As days pass by, things get stranger and stranger, and horrifying incidents become more and more frequent. The sound of death calls upon her! To be completely honest, this had rarely any “good” elements. The acting was anything but subpar, the story was okay but the implementation was awful, the special effects were dreadful, and the movie itself wasn’t scary at all. There are a lot, and I mean a lot, of 10/10 ratings on Naver, the Korean portal website, of the film. Do not be fooled! I don’t know if you know this, but the movie industry in Korea is known to hire numerous people as part-timers to write positive reviews and ratings for their films when it’s released. Very unethical, I know, but that’s how these entertainment companies raise their ratings and try to stay afloat. Now, I’m not saying that <The Wrath> took this approach; I’m merely stating that this is a known tactic that a lot of Korean cinema companies incorporate. I will say, however, that on the day of the release, <The Wrath> had a 3-point rating; fast-forward 3 days later and the rating is 6/10. Crazy right? And they aren’t even stealthy about it. Majority (and I mean like 90%) of the recently added user-ratings are 10/10. If you’ve actually seen the film and have a brain, even if you did enjoy the movie and thought it was great, you wouldn’t give this a 10 out of 10. Obviously, something is up. That being said, if I had no recollection of what “amazing” movies were, and hadn’t seen proper horror movies before, then at most I could give this a 6/10. Anything more would be a lie (shame on all those fake reviewers). But obviously, I do have recollection of amazing film work, and have seen wonderous horror flicks before. With the standards I have for scary movies, this doesn’t come close to being good. If I had to choose “good” parts of the film, it’d be the acting of Seo Young-Hee, and the story itself. Seo Young-Hee is an amazing actress. Her performance in this is what kept my attention, and if it weren’t for her acting, I don’t think this film would have any positive aspects. Her ability to capture the audience’s attention and retain it is incredible, and the expressions of her eyes are able to convey what other actors can barely articulate with words. Furthermore, the overall narrative of the movie was fair. It’s not the best, but it’s not the worst. Hey, at least there even was a story; based on the trailer and what I saw in its promotional stages, I thought it wouldn’t even have a narrative. Oh man, where do I start… Let’s start with the acting performances. Apart from Seo Young-Hee, there were three other main cast members: Son Na-Eun, Lee Tae-Ri, and Park Min-Ji. Son Na-Eun wasn’t terrible in this. This was her first time taking on a lead-role of a feature film, and for her first time I’d have to give her a round of applause. However, I don’t think the character of Ok-Bun and the time period fit her as an actress very well. As for the others, I found nothing special about their performances. They weren’t terribly bad, but then again, they didn’t really add any real value to the production. This is a huge negative on the production’s end, as they need everything little value they can get to add to the overall film, especially for a remake. In addition, it wasn’t just the “scary scenes” that were cringe; the visual effects, the musical scores and audio effects, the camera angles were all excessive and overdone; they were the definition of cringy. There’s a saying that sound is the most important factor of a horror film, more so than the visuals. I can see why they say that, as the audio in <The Wrath> released the audience’s wrath (not in a good way). I know I’ve said a lot of negative things about the film, but I had to be honest with my readers. I refuse to recommend any films that I wouldn’t want to watch either. There are so many amazing Korean movies out there, so many choices to choose from. Why waste your time on anything but the finest? Maybe this type of movie rocks your boat, who knows? But for me, personally, I could only see the downsides of the film throughout its duration, and did not enjoy it one bit (minus seeing my favorite girl group idol). I don’t think I would even consider this a horror film… It’s more of a comedy. I don’t think I’ve laughed as much as I did in a “horror” movie than I did with this. Maybe if this was a movie in the 90s or early 2000s it would’ve been considered good. But we’ve seen so many great scary movies throughout the years that this was just cringe, predictable, and not scary at all.